Another beauty PR parcel just landed on my desk. From a brand that previously sent me a collection, that I have still not blogged about. I couldn’t even bare to open the package as the guilt set in. I have totally and utterly fallen off the beauty blogging stratosphere – is that the right word? I don’t know. Nevertheless, blogging is something that I truly love. The one thing, that even when it seems a chore, I never get bored of it. I have never given up. I may forget to regularly fill these inter-pages with content, but I do come back, eventually. I just need to keep coming back, every week. Remember that time I always popped up in your Bloglovin feed? Those were good times. Let’s get back to that. 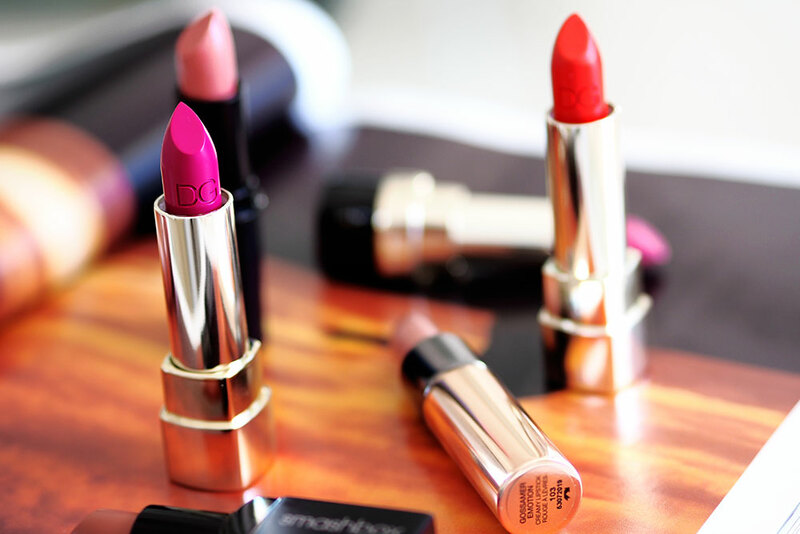 Today I want to talk about my favourite lipsticks. Lipstick always makes everything better. You can throw on a pop of colour and instantly your face and attitude changes. For me it does anyway. I’m hoping throwing lipstick into my blog, will inject the life that it really needs right now. LOOK AT ALL THIS COLOUR. 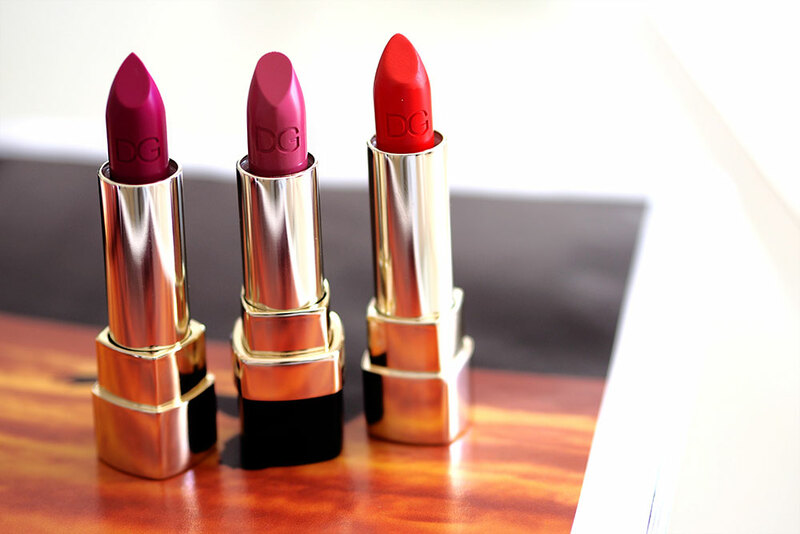 Dolce and Gabbana lipsticks are the one. Wait, isn’t there a perfume by these guys called The One….. That is nice too. Totally digressing. I love the Classic Cream lipstick formulation, the gold packaging and embellished logo just make these look and feel so luxurious, and that is even before you apply the lipstick. If you love intense colour, and lipstick that stays put (and trust me it does, I put it to the curry club test, and my lipstick was still immaculate after a korma and a massive naan bread), then you will adore these as much as I do. On the left we have the shade Cyclamen, from the Summer in Italy 2016 collection, a stunning dark fuschia, and on the right from the same collection is Venere, a deep orange that really makes my eyes pop. 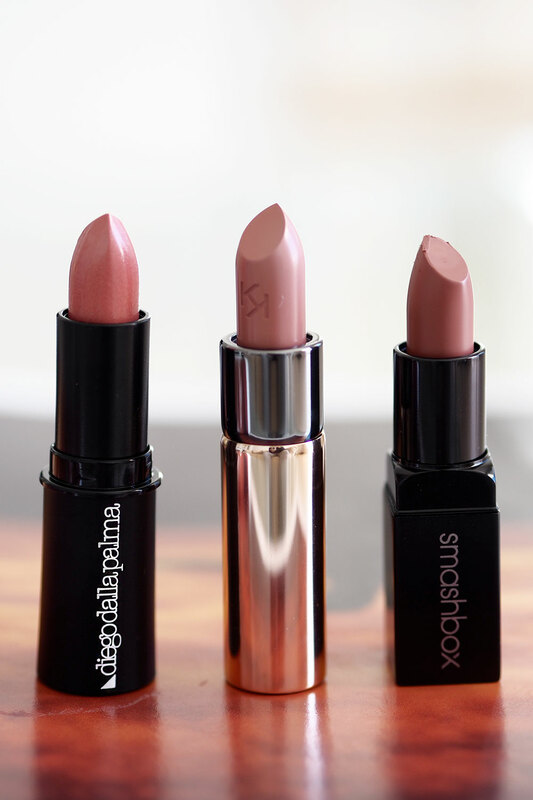 In the centre, is my favourite of the three shades, something less striking but incredibly feminine, Dolce Mamma. 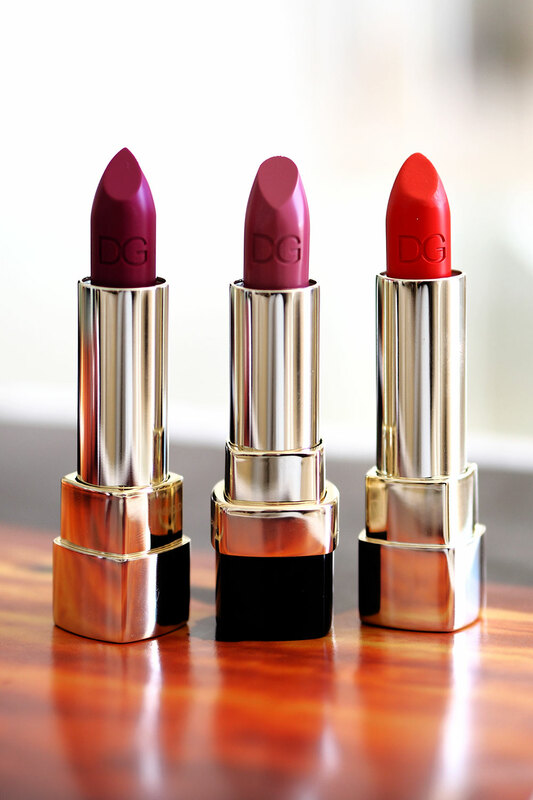 This lipstick is one from the Dolce and Gabbana Matte Lipstick in Rose collection. I love this formula as it is super hydrating for a matte lipstick, and this particular shade really compliments my skin tone. To the lipsticks that I feel more comfortable in, the day time options. 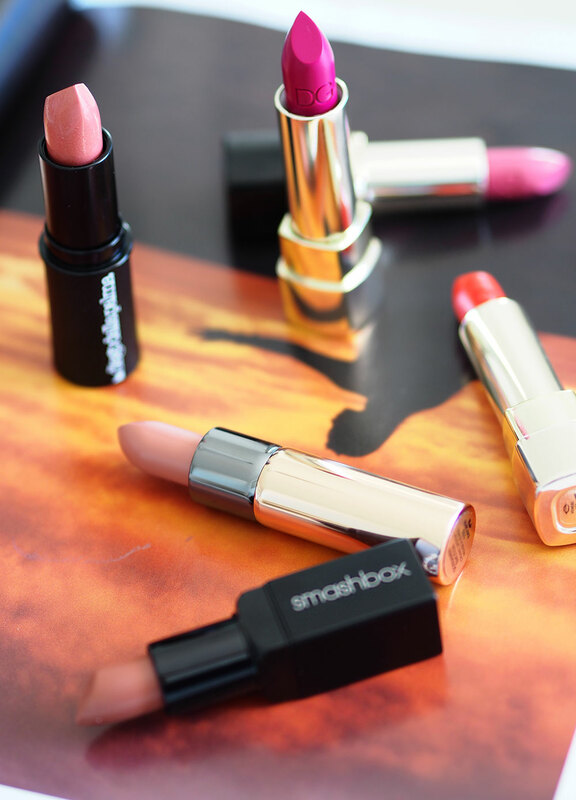 Smashbox do some cracking make-up, the Be Legendary Cream lipsticks fall into my favourite formulas of all time box. Simple, slick packaging and some beautiful colours available. Pink Neutral is the one I pick up most days as it is so easy to wear and compliments my usual “no make-up make-up” routine. Y’all should know how much I love Kiko Cosmetics and I already mentioned this lipstick in my last post, Five Things to Try from Kiko. The Velvet Matte lipsticks are fabulous, and the packaging is really cool. Diego Dalla Palma is a brand I have dabbled with occasionally, I don’t overly rate this brand, but I do like this particular lipstick. From their Spring collection, the shade Rossetto is really pretty and so easy to wear. If you crossed that line above, you have reached the end of this post. Congratulations. Thanks for stopping, by considering I am a little unreliable on the blog writing front right now. I appreciate every one of you who takes the time to read my posts. Have a fabulous day and feel free to leave me your lipstick recommendations below!